Nowadays, Changi is preserved only in one region of Georgia – Svaneti (western Svanetian Changi mountainous part). Changi consists of two main parts: body and supplementary elements, which are represented by keys (1) and tuners (2). The body consists of horizontal and vertical parts. The horizontal part – the resonator – is made out of a long hollowed tree and has the shape of a semi-cylinder. Plate of about 4mm with a small curvature in the middle is nailed onto it. The plate has 6 notches for buttons (1) to fasten the strings, they are fastened at the same distance from the sides of the resonator. The vertical part is straight and flat. It has holes for the tuners (2). The tip of the vertical part is inserted into the horizontal part forming a right angle. On both parts small wooden sticks are nailed parallel to the strings. The Changi is mainly made of softwood. The most popular material is fir, but sometimes pine-tree is used. The Changi has 6 or 7 strings. The tune of a six-string Changi is “fa”, “sol”, “la”, “si”, “do”, “re”. The seven-string Changi has the same tune but its scale begins with “mi”. Special proportions are kept by Changi “Deer” the instrument makers when designing Changi. It is mostly played by women and is generally used for accompaniment. Solo songs are often accompanied with it. But melodies performed on this instrument represent the transcription of Svanetian national “Saperkhulo” (a dance) melodies not the original instrumental music. Only one Changi is used while accompanying solo melodies. Nevertheless, combining “Chuniri” and “Changi” into ensemble was quite frequent. Changi is quite popular in Svaneti. It was considered to be the instrument of “sorrow”. According to the sayings, it was often played to comfort a person in his grief. There is a legend connected with Changi that tells us the story of an old man whose son was killed in a war and who found an expression of his grief in a sad melody of Changi. Changi in Svanetian language is also called Svanetian Changi “Shimekvshe” that means a broken arm. 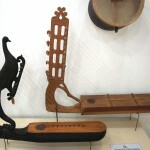 Svanetian Changi is recognized to be one of the ancient string instruments. It has existed since the IV century B.C. 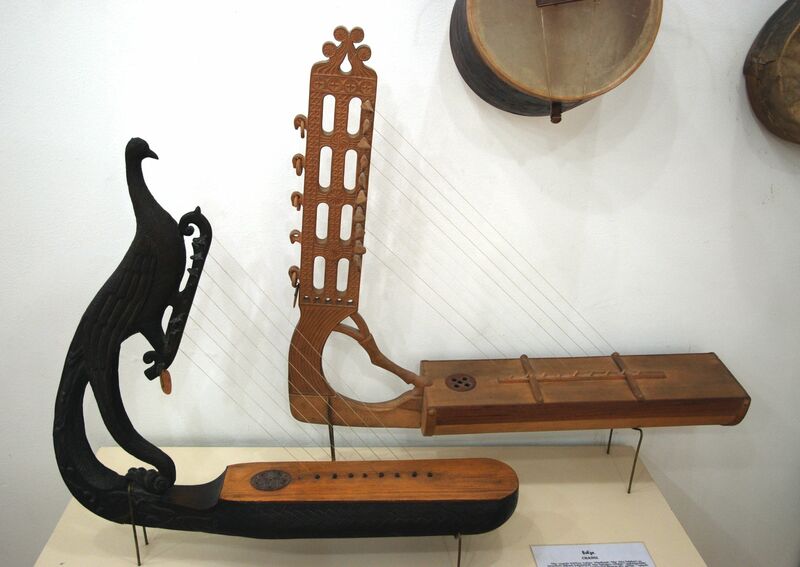 It is worthy of notice that one of the most ancient nations “Shumerians”, who lived in western Asia and are thought to have been closely connected with our ancestors with ties of kinship had the similar instrument that looked like the Svanetian harp. There is a supposition about the origin of Changi, according which it must have been originated from a bow. This weapon is not a particular nation’s invention. Thus, Changi could have been invented independently in different nations. The instruments similar to Changi were widespread in many ancient Eastern counties: in Egypt, Shumereti, Babylon, Iran, China, Greece, etc. This entry was posted on Friday, May 23rd, 2014 at 9:35 am	and is filed under Folk, Georgian Music, History. You can follow any responses to this entry through the RSS 2.0 feed. Both comments and pings are currently closed.